Johanna's powerful spiritual suspense memoir is the story of an unusual life. Born on the cusp of the second World War, she became a nun at the age of seventeen, and later left to marry and raise five children, eventually finding her family and herself in the clutches of a mother-in-law whose psychopathy or demonic possession sought to destroy them. Her writing is a testament to her faith, rising from the pages like music; lyrical, funny, raw and mystical, testifying to the reality that WE are the living Scripture being written in our times, and it is in the grit of our lives that God writes His Eternal Love Story. In working with the dying these past years, she has been awed and fascinated with the final words and actions that come to encapsulate a life. Her wish is to leave this world with a message of enduring hope and forgiveness in the face of horror,crisis,tumult and tragedy. This book is her last will and testament. That she has succeeded in her task is evident by such feedback as that given by July Spilak of New Zealand: "I absolutely loved this book! I simply could not put it down... Sometimes you just need a something...(when you don't even know what it is you need) and viola! it arrives in the mail just like this book did". 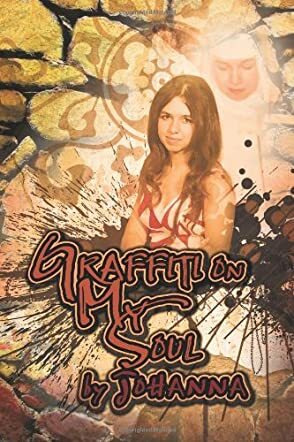 In the last line of her book Graffiti on My Soul, author Johanna concludes: "This is my Last Will and Testament." As an author and reader, I would certainly hope this is not the case. Johanna is a creative and talented writer, and most who read this book would be thrilled to hear there is another in the works. Johanna is a Canadian-born child who struggled early on to understand a world whose meaning appeared foreign to her. At the age of seventeen, she joined a convent and remained there for years, studying and learning the principles of poverty and obedience. She then entered into the study of philosophy and psychology and another world of knowledge opened to her. After eight years in the monastery, Johanna elected to leave her vows and to take her new learning to the world at large. She married and had five children, feeling her nurturing and educational skills were well-directed in her new life. Her Austrian mother-in-law entered the picture, and Johanna was mandated to reach toward and beyond everything she was taught while serving as a nun. She battled the legal system, as well as her own personal demons of doubt and anger, as she struggled to recapture her sense of self within the dictates of her own religion. This book is one which should appeal to all harboring self-doubts and personal conflicts. It is a book of personal exploration, bravery and tenacity. Despite one's religion (or not), Graffiti on My Soul is a book to stay with the reader long into the next, difficult situations in life.